You hear more and more everyday about the importance of search engine optimization (SEO). 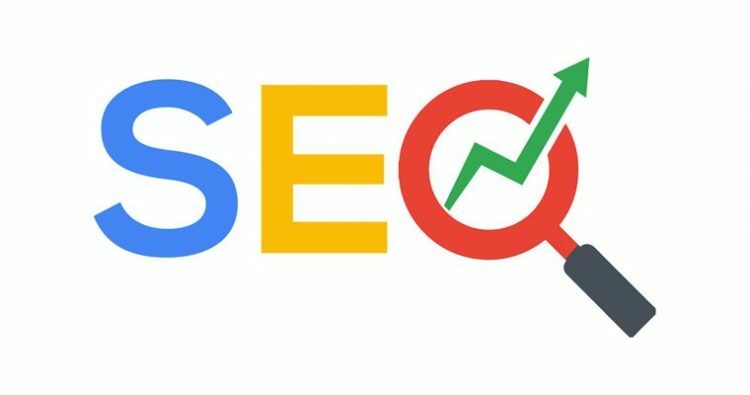 With over 1 billion searches performed every day on Google, it is advantageous to rank higher on the results page and you can do this by improved SEO implementations. Here are four simple techniques that anyone can easily do to improve ranking on Google search. Content: Keep your website FRESH! Periodically add new keyword-rich content to your website. Invest time in a blog, shared media placements and award announcements. Adding social media to your homepage is an easy way to update new content with little effort. For example, Facebook will populate your latest post to your website and does it immediately when Facebook serves it up – instant new content! Images: Is your website full of great images? Are those images mobile ready? What if I am unable to view the image? Here is a secret to better images: add keyword-heavy content to fill in the image description tag. Review every image on your site and add a description that details what the image represents and be certain to make it keyword focused. People that are unable to load your images will have this text as a default. This is another way to easily improve your rankings by building your keyword quantity. Meta Tags: While you are in the website adding content to those images be certain to check each page’s meta tag. This is the text that appears when a Google search page is populated. Meta tag descriptions are where Google focuses their attention. Your meta tag should correctly describe the page content and be keyword strong. This content is uniformed, quantity limited and often the first impression of your website. Meta tag descriptions are where Google focuses their attention. Your meta tag should correctly describe the page content and be keyword strong. This content is uniformed, quantity limited and often the first impression of your website. Cross Links: Adding internal links to your pages encourages the visitor to spend more time on your website. Google monitors not only the bounce rate, how many people leave your site after viewing one page, but how long people spend on your website. Have clickable URLs in your copy that lead the reader to more relevant information on another page of your site – include links back to the original article too. If you can keep a visitor engaged over multiple pages on your website Google rewards you with a higher quality score, leading to a higher search ranking. Google determines that if someone is taking the time to navigate through your site then your content must be relevant to their initial search. Google then makes it a priority to share your site with people performing similar searches, moving your website up in the rankings. These are four easy steps that will enable you to reap the benefits of Google. Ultimately you will direct more and more of those billion of searches on Google to your website. Take a snapshot of how your website currently ranks for your primary search words. Then implement these easy improvements and watch your SEO climb. Do you have other ideas you could share? Let us know on our Facebook or LinkedIn pages. If you need assistance implementing these steps and building upon these efforts contact our team at FUSIONWRX, Inc. Present us your challenge! In a technology-driven world, more companies are using brochures. Why? Brochures send the subtle message that your business is professional, reliable, and committed to quality. If you’re considering using brochures in your marketing plan, take notice of the following benefits as well. You can strategically place brochures in a wide variety of locations. This allows your company to relay positive and accurate information to more people and attract new customers. It’s easy to place brochures in promotional giveaways you send through the mail or on tables in your office. You may want to give away tangible items along with the brochures. Perhaps you advertise at a local fair and hand out your brochures with Frisbees, T-shirts, or bags. The free merchandise may attract people to grab your swag, but later they will read your brochure and learn more about your business. This marketing strategy allows you to reach out to many new customers. Compared with some online marketing options, brochures are a low-cost marketing plan. Plus, most professional print shops will work with you to design and produce sleek brochures that fit your budget. Brochures also decrease in price if you buy in bulk. Many companies who use mail advertising or participate in trade shows buy brochures in bulk. Furthermore, brochures usually include details about your business that make them useful for many purposes. You can share them with potential customers, loyal clients, business contacts, and other individuals. You save time and money when you have a succinct summary of your products and services readily available in your brochure. Once you have the eyes of your potential clients reading your brochure, you can build trust. Most companies include their objectives and goals in their brochure. This information helps clients see the caring and devoted side of your company. When clients can read about how you care, they trust your company more. A brochure also lets customers know you are a serious company with reliable credentials and dependable business practices. Many clients want to see evidence of experience before they do business with a company. Brochures allow company owners to compact a lot of information in a small area. Even a trifold design includes flaps sections for you to describe your services and products. Brochures also convey more information than other printing options such as post cards or letters. Whether you want to include product prices or tell the story of your business, you have plenty of space to get your entire message across. You can even generate immediate business through your brochure by including coupons or discounts. Professional speakers often target one person in a large audience. This approach helps the speaker communicate on a personal level, which is usually more effective than speaking to a general audience. Similarly, your brochure can use the same technique. As your potential client reads your brochure, you have that one-on-one communication. Make sure your brochures tell your clients why they need your product or service in an approachable manner. Additionally, for people who are on a tight schedule, a brochure you can read any time is ideal. True, they could get the information from your website; however, written material adds a personal touch. Printed sales literature sends the message to clients of an established business. While business cards or letterheads offer credibility, a brochure shows you are willing to invest in your clients. People expect printed merchandise from a serious business. If you need more convincing on the value of printed materials, check out this article on the benefits of printed media. Because brochures do so much for your company, don’t skimp on printing. A poorly printed brochure eliminates all the credibility you could earn. Invest in quality products to show you care about your business’s image. You can count on Flottman Company’s printing and folding expertise to produce brochures that will wow your customers. Need help with design? Our strategic marketing team at FUSIONWRX, Inc can help you create a brochure that not only looks great, but also helps you achieve your goals. Get started today!